MGM Hospital in Aurangabad in association with the Global Hospitals, known as one of the best liver transplant hospitals in Mumbai, will now focus to deliver complex liver surgeries and cadaver liver transplant procedures in Aurangabad. The decision was recently taken after a team of experts in liver transplant from Global Hospital, Mumbai visited officials at the MGM Hospital recently. The important decision comes in the wake of a rising scenario where the need of liver donors supersedes the slowly rising number of cadaver donations in Maharashtra. More concerning is the emerging obvious scenario of public hospitals still struggling to perform such complex surgeries. However, as implied by Pravin Suryavanshi, deputy dean, MGM College and Hospital, a liver transplant in any private institute costs up to Rs20 -30 lakh stands in sharp contrast to the subsidized cost to about Rs 11 lakh in a government hospital. As reported by TOI, “A liver transplant in any private institute costs up to Rs18-30 lakh. With MGM being a charitable hospital, the complex liver surgeries and liver transplant would be made available at 30 -40% less cost,” said Pravin Suryavanshi, deputy dean, MGM College and Hospital. “With available infrastructure in the city, we plan to start the complex liver procedures soon at MGM. 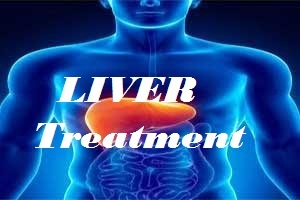 We will also start cadaver liver transplant and later on, live donor liver transplants would be undertaken,” said liver transplant surgeon and head of liver department and hepato-biliary surgery, Global Hospitals, Ravi Mohanka. “While Mumbai sees close to 300 patients suffering from end-stage liver disease, less than 10% of them manage to get an organ in Mumbai, according to liver transplant experts. Another 10% go to Delhi or Chennai, Hyderabad or Vellore in the hope of getting a transplant,” said Parijat Gupte, a liver surgeon. Credihealth help patient to seek information about different hospitals and doctors from one place. Expert consultant help them to choose the right channel to get service while maintaining the budget and comfort.